If you're anything like me, you have your favorites when it comes to blogs. For me, they're often the ones with beautiful and thought-provoking photography or those with words that speak to my soul. 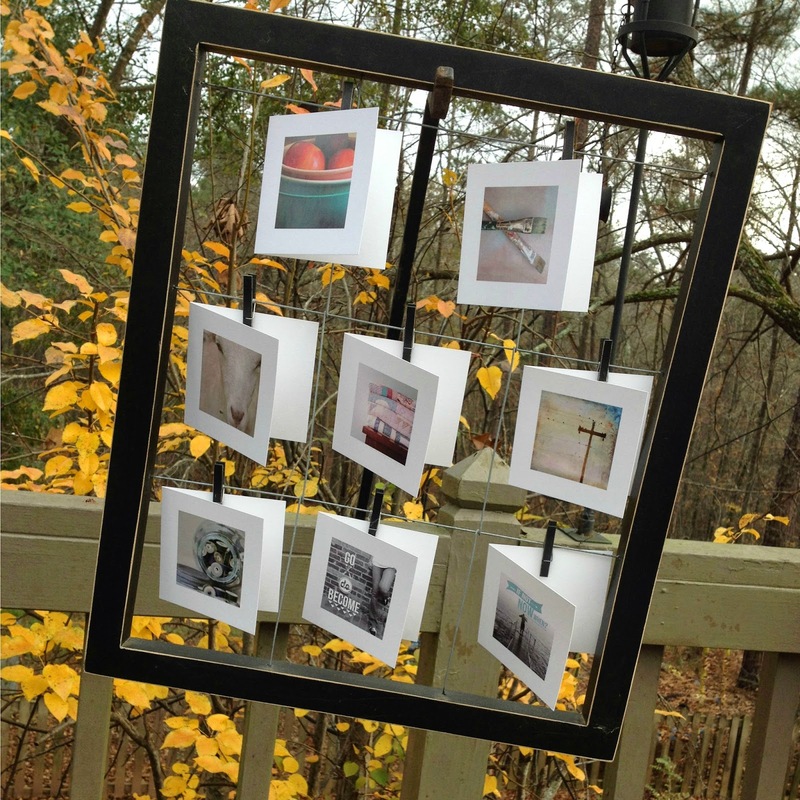 Some of my favorites share the simple moments in life... photos of children, lists of gratitude, tears and laughter. Each one tends to pull me back when I've been away too long. Recently, I was invited by Kelly Kardos at Just a Click Away to participate in a virtual tour of sorts. So, come on in... and welcome to my world! I'm always working on my photography, which takes advantage of natural light and features a variety of images - usually items that I love, such as vintage cars, typewriters, books, and flowers. 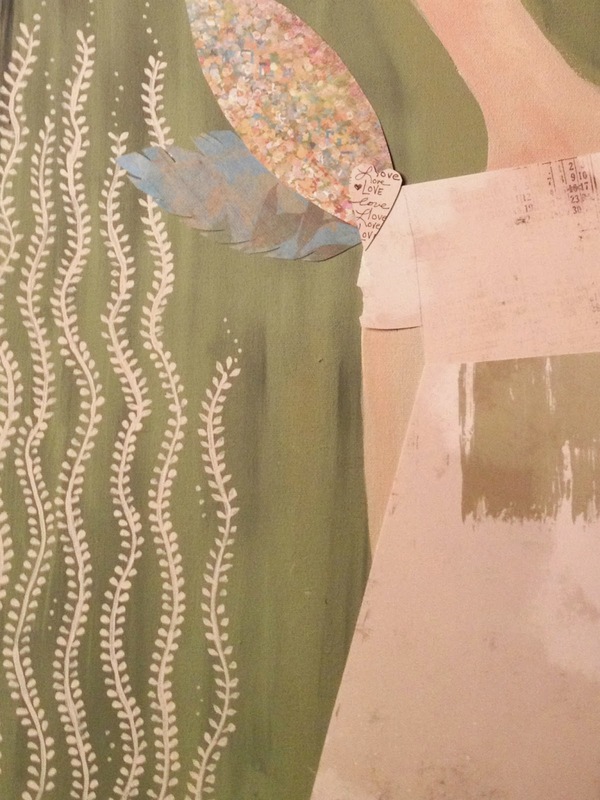 My "girls," as I call my mixed-media creations, take a little more time to percolate. It's been a few months since my last one was finished, so ideas for a new girl are beginning to nudge about in my mind. 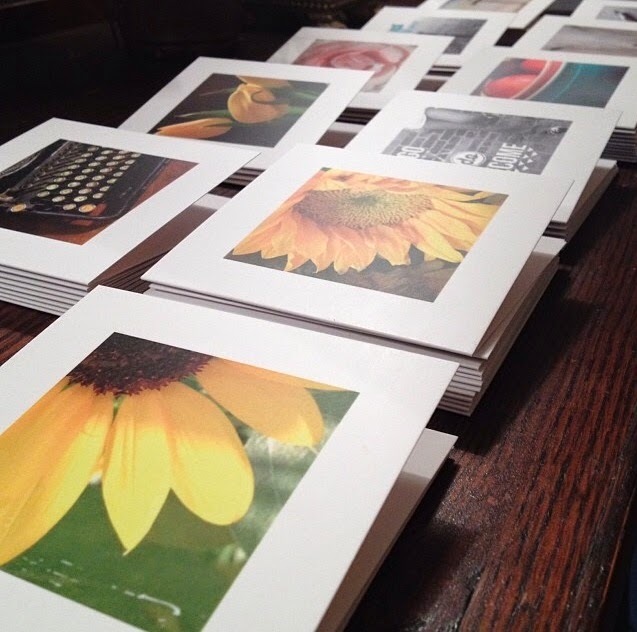 In January, I committed to opening my Etsy shop, where I offer note cards, prints, and canvases that feature my photography and mixed-media art. That's been a bit of a whirlwind as I learn to juggle the many roles of an artist/entrepreneur. From packaging and mailing orders, to creating new products, I can see how devoted one must be to take a hobby or interest to the next level. I think as an individual, we all bring our own unique perspectives to our photography and art. Two people may take photographs of a typewriter, but there will be something about each that stands out on its own. My mixed-media "girls" emerge from within my imagination and evolve as I add papers and paint, chalks, stamps, markers, charcoal, and text to the once blank canvas. It's that personal touch, the words that I string together, the face that only I create that make each one unique. I don't even know how the finished product will look until I put everything away and claim, "she's done." I write to tell stories. To share moments in time. To connect with others. Sometimes they are stories from my life as a teacher; sometimes they are stories from my life as a parent or even stories from my past. I create to enjoy the act of creating. 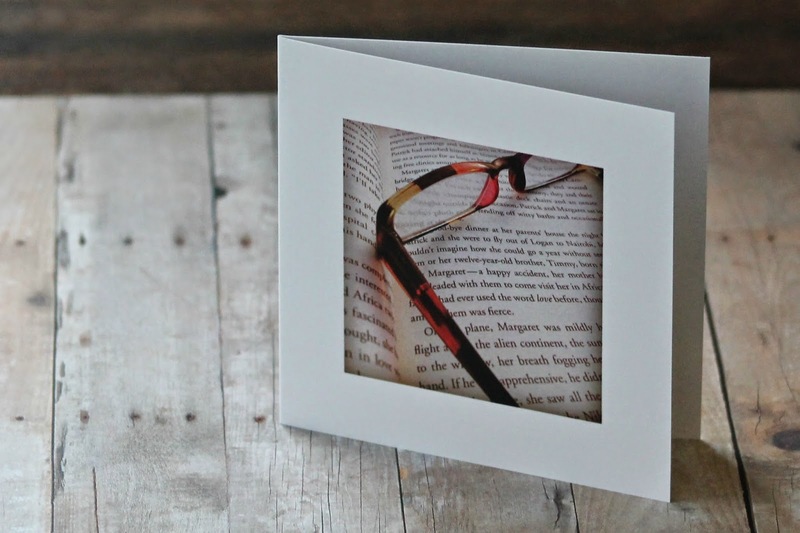 I love stationery (always have), so creating note cards is a natural extension of who I am. Being able to feature images that I love - in hopes that someone else will love them too - is the cream-cheese icing on that particular cake. 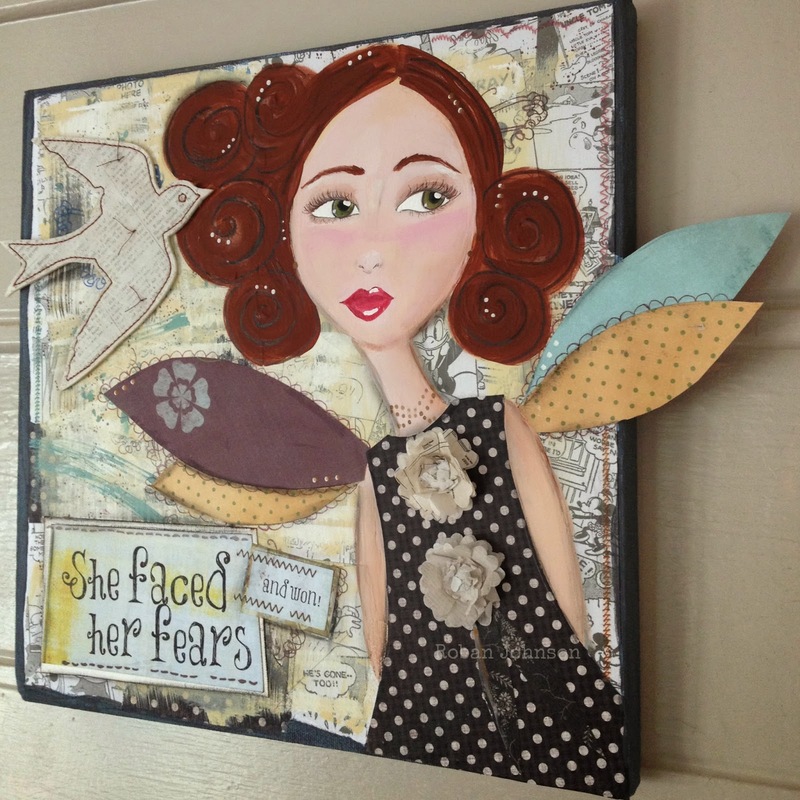 I create my mixed-media girls to express my own feelings and to encourage and inspire others at the same time. For instance, women of all ages can relate to "Sparkle Girl" who claims that it's "your turn to sparkle." "Dream Girl" evolved after a blog sister-friend of mine launched her own business. "Fearless" evolved one night as I fought my own fears when my daughter headed out with friends one night. And "Heart on her Sleeve" - perhaps my favorite to date - was about me 100%. My feelings were hurt, so I gathered up my paints and papers and went to work. I'm not a big planner, but I will mull ideas over in my mind before sitting down to work. As a writer, I tend to let the words flow, editing as I go. As a photographer, it's a lot of trial and error as I look for the best angle and the best light. As an artist, it's all about gathering lots of materials, placing them this way and that, and then seeing where they lead me. Writing comes rather easily to me, but the art is the most challenging. I spend hours and hours trying to get my girls just right. They will usually evolve over the course of several days, but "Heart on her Sleeve" took months to complete having finished part of the background but not finding further inspiration until my own spirit needed a little TLC. I'm always a little amazed and a little exhausted when I've completed one. "Heart on Her Sleeve" in progress. 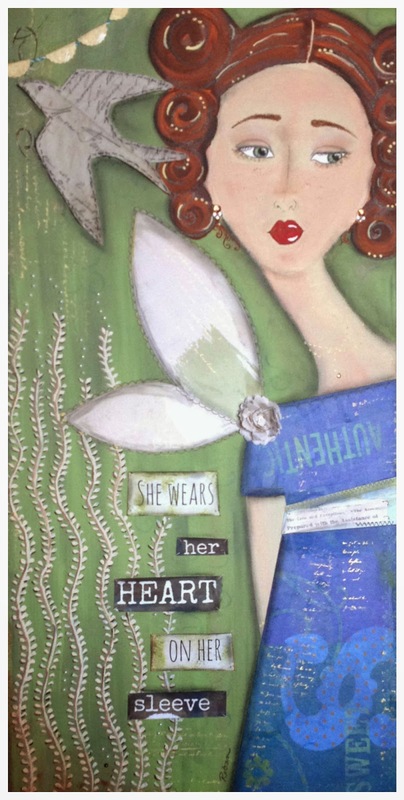 "Heart on Her Sleeve" features a hand-stitched bird and other embellishments. I had intended to steer you to other artists and photographers as part of the blog tour, but this turned out to be a busy time of year for many of my blog friends and acquaintances. Many of my favorites are on my sidebar though, so I invite you to visit as many of them as you can. In any event, thanks so much for stopping by. I'd love to hear from you, and I hope that you'll visit again soon! I so truly enjoyed reading this post, Roban, and I just love your "girls." 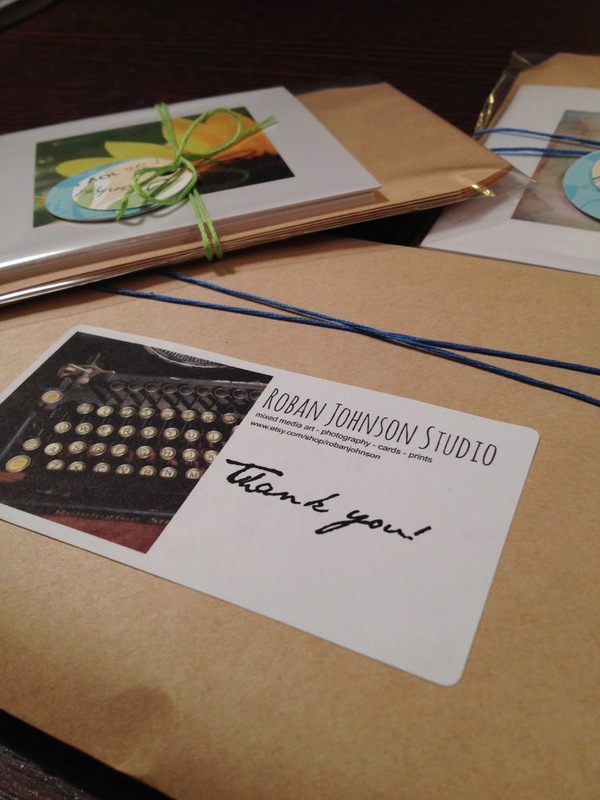 Thanks ever so much for sharing your journey (virtual tour) Roban. I love vintage cars, typewriters, books and flowers too - great photographic subjects. And your story about "Heart on her sleeve" was very poignant. You are one special lady. Oh, my. You have been busy. I have been away from real blogging for months and months. I have missed visiting my friends. I have missed connecting. I have missed you. It is so good to come back here and see that you are still savoring the best things in life. Still sharing your art right here. I have missed you, friend. Giclee Prints... ooh, la, la!